Let’s go and get an original Carnival costume @ Gärtnerplatztheater. 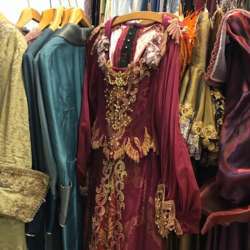 The theater opens its fund and sells costumes from different periods and productions of the past years. They are all unique: handmade fantasy costumes, historical robes, uniforms, hats and headgear in many different sizes.